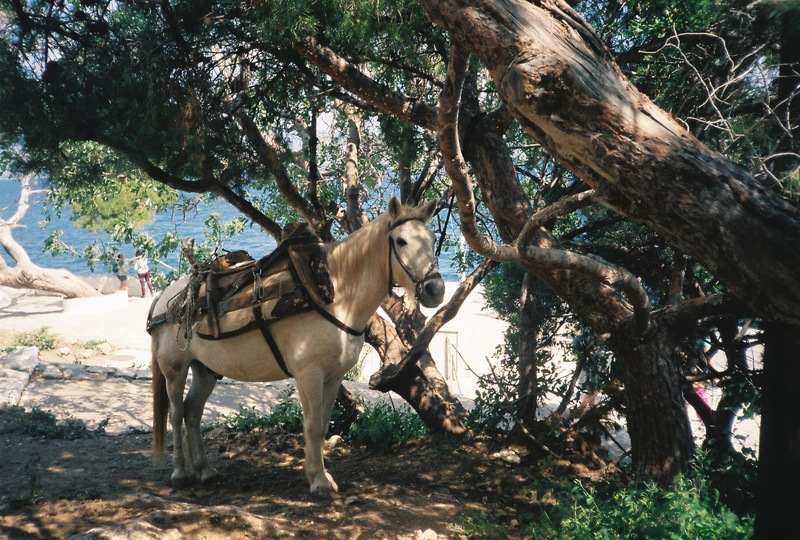 An island pony waiting for its next load. 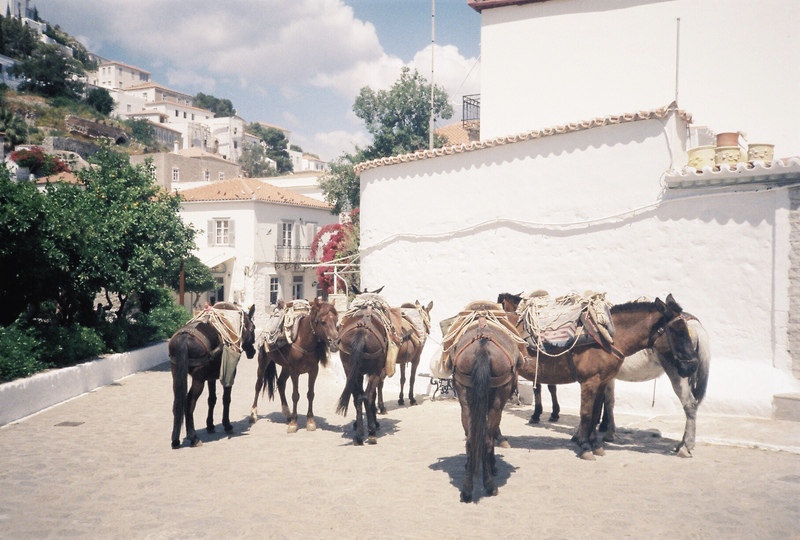 Island donkeys and ponies dozing in the midday sun. 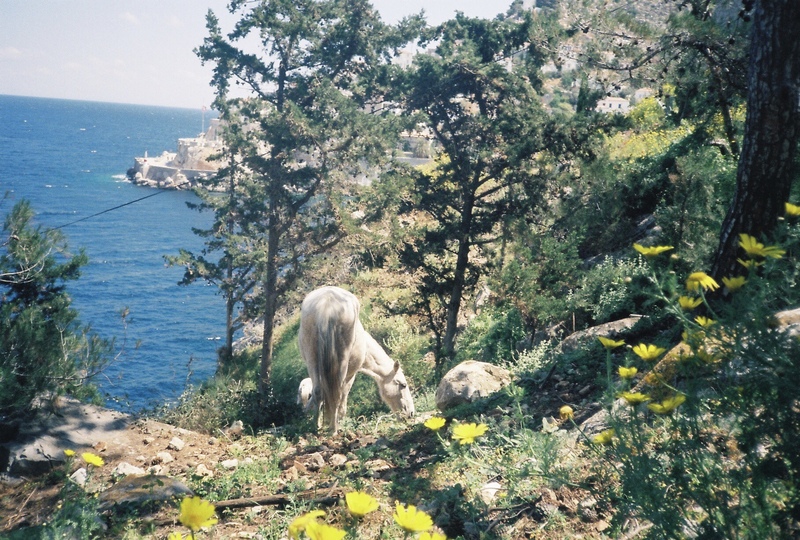 An island pony grazing on a hillside amongst wildflowers. 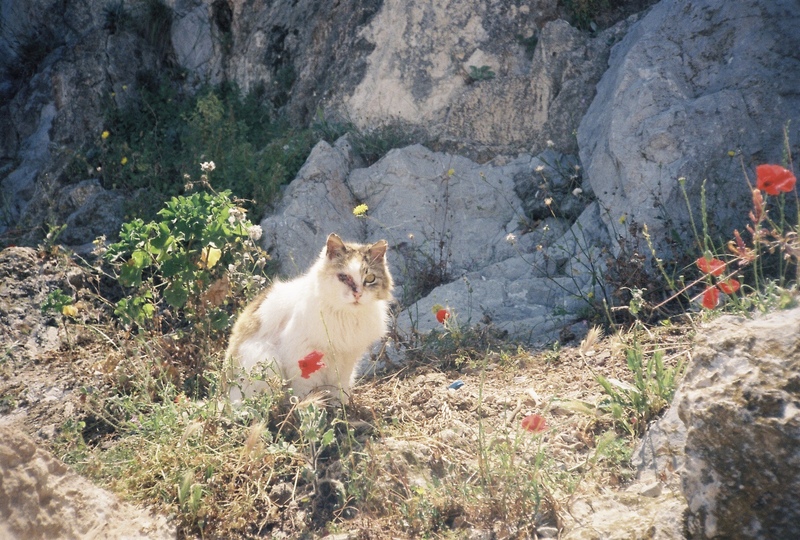 One of the many stray cats with battle-scars on the Greek island of Hydra. 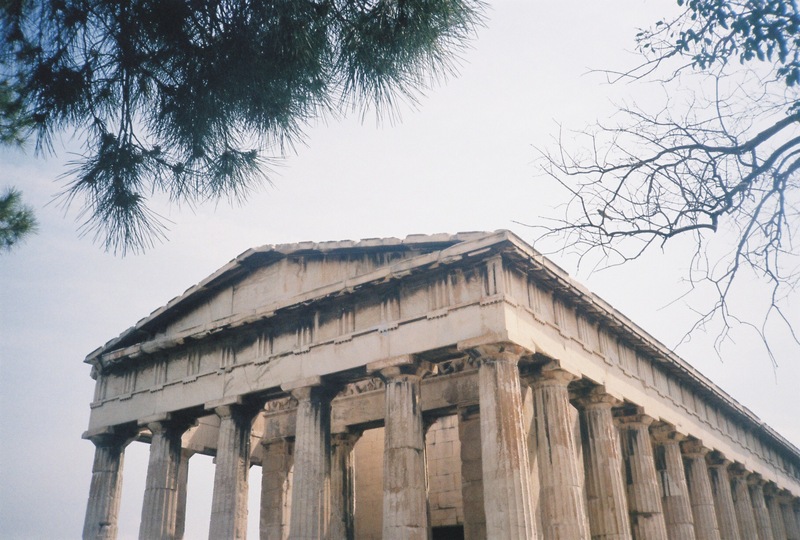 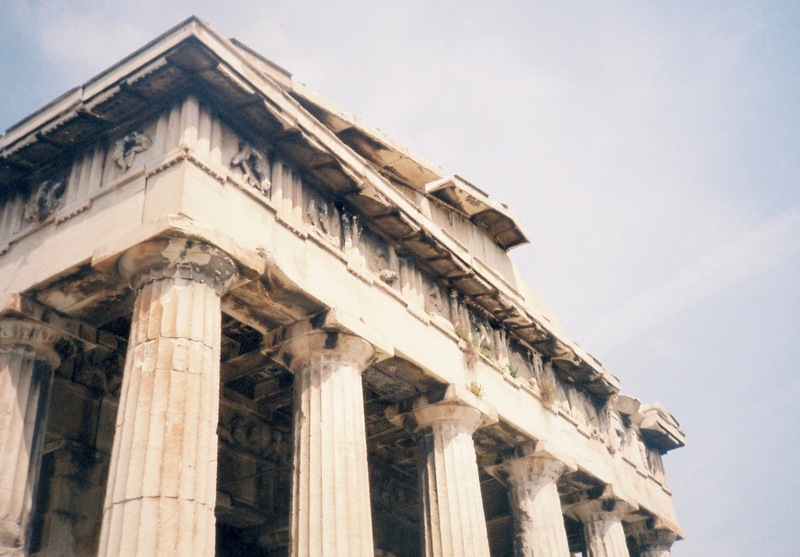 Another angle of the Temple of Hephaestus. 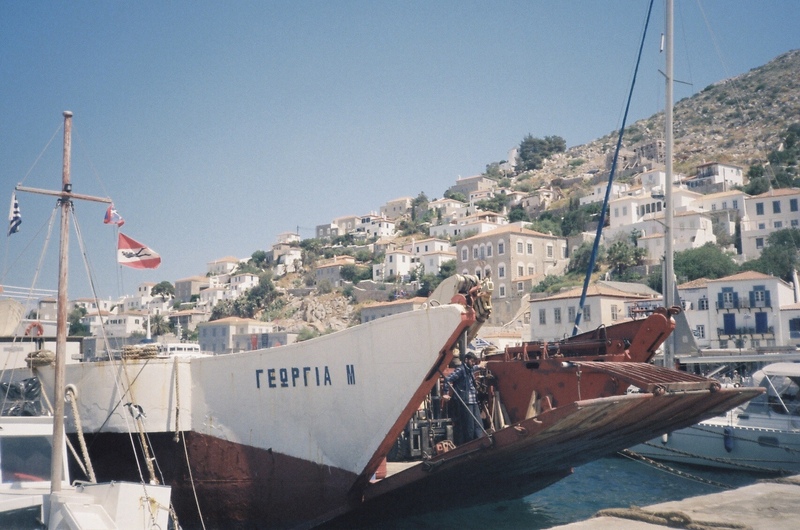 A boat on the Island of Hydra preparing to leave for Athens. 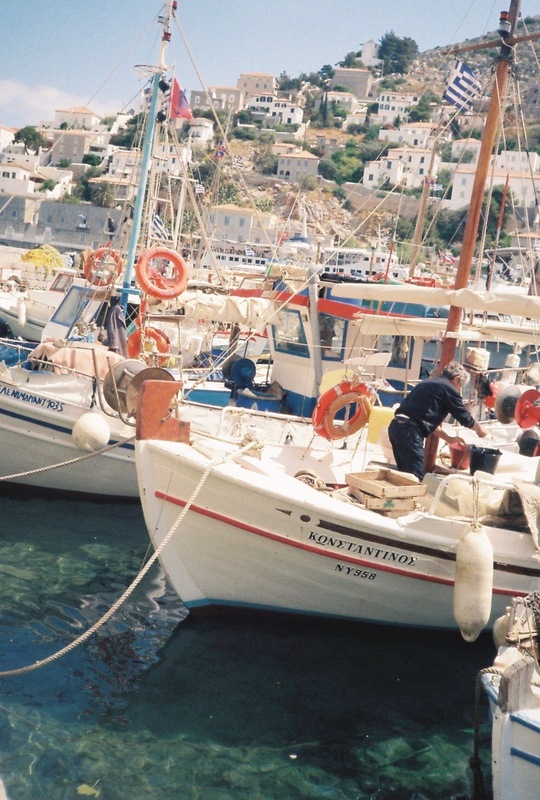 Men and their boats preparing for the day. 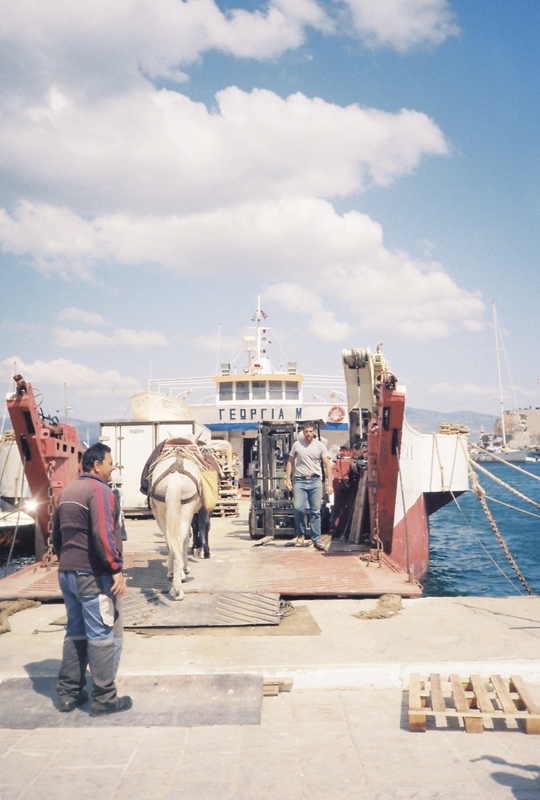 Men and ponies loading cargo onto a supply boat.